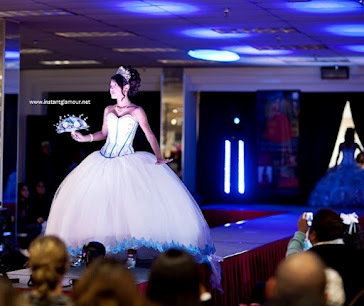 What do you think about this style of quince dress? I took this picture at the La Glitter dress shop in Houston TX! Do you like it? They can design it in different colors too! This style is one of the most beautiful new designs of 2012. What do you think about this dress? Like it?